Approximately two years ago, the concept for a hydrogen-powered train was announced at the InnoTrans 2016 in Berlin, Germany. Now, the Coradia iLint is finally a reality. In Germany, two hydrogen-powered trains are in commission for public use — a first in history. The Coradia iLint passenger train was developed by the rail transport company Alstom. According to a press release, the train can travel 600 miles (1,000 km) on a single tank of hydrogen. Energy is generated through a combination of hydrogen and oxygen. Excess energy is stored in lithium-ion batteries, reports GoodNewsNetwork. 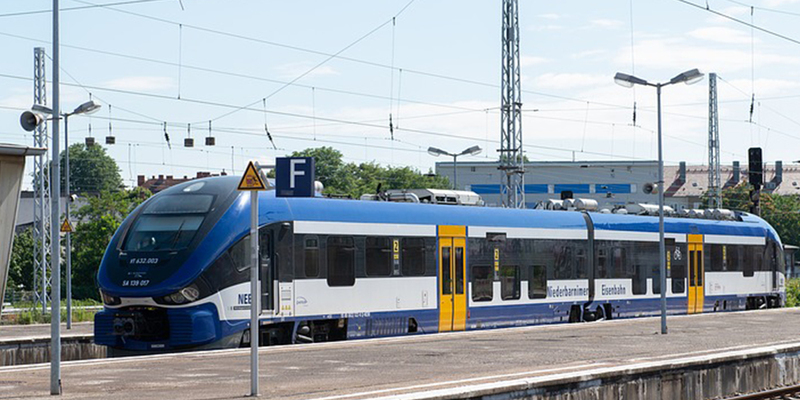 Unlike diesel-powered trains, the Coradia iLint produces no greenhouse gas emissions which contribute to the phenomena known as climate change. Furthermore, it is cheaper to run than trains powered by fossil fuels. Within the next few years, Alstom intends to launch 14 more Coradia iLint trains. For now, two hydrogen-powered trains will manage a 62-mile stretch of railway in Lower Saxony, Germany. Reportedly, several provinces are eager to introduce the eco-friendly form of transit.
? This Man Has Spent 29 Years Living Alone On A Desert Island Brave Scuba Diving Instructor Saves Shark Trapped In Fishing Net ?